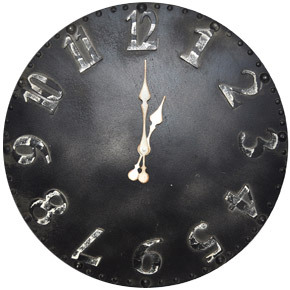 In line with our love of flowers and beautiful settings, we present our range of imported silk flowers and home décor. 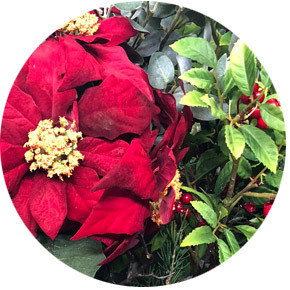 As a family-run wholesale business established in 1990, we strive to provide our clients with the most extensive and superior selection of silk and artificial flowers and foliage, complementary décor items, as well as efficient service and prompt delivery lead times. 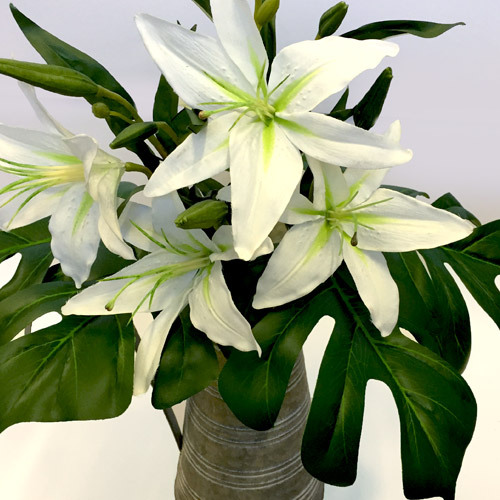 White Tiger lilies with Monstera leaves for a tropical twist. 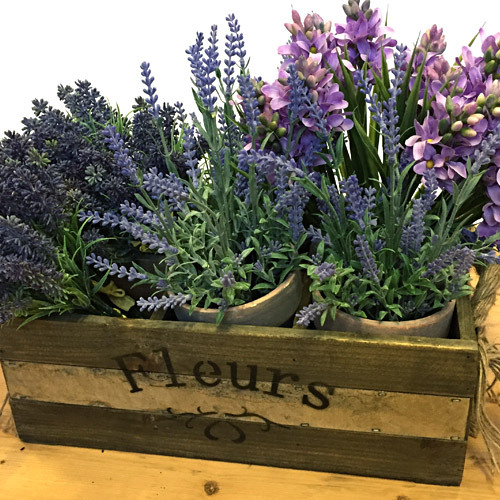 Create a Provençal planter with our potted lavender, lavender bundles and purple hyacinth in a decorative box. 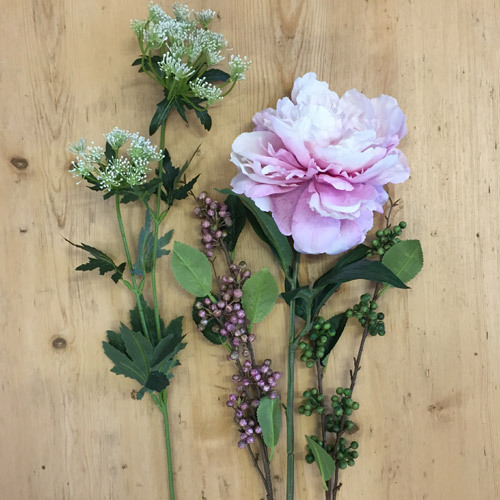 Pretty pink peonies combine perfectly with white Queen Anne lace and wild berry sprays in green and pink. 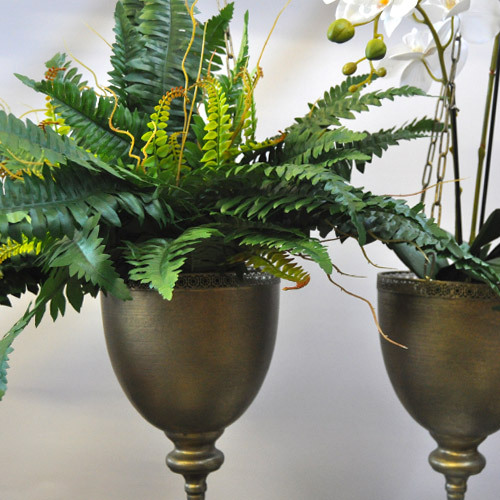 Obsessed with our new Plant holder hanging copper look… filled with Boston Ferns and Orchid in Moss takes it to new heights. 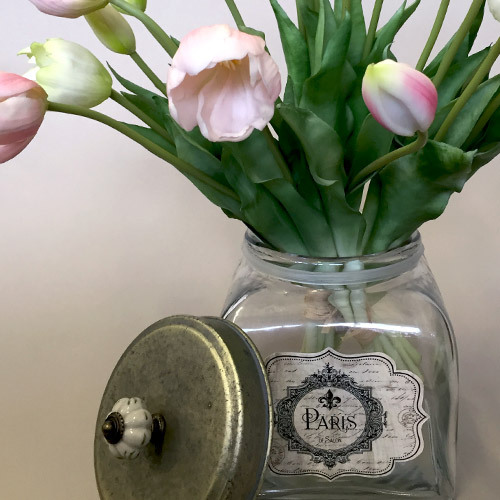 For romantic French inspiration, cluster our Tulip bundles pink and cream in our Glass Jar Paris. 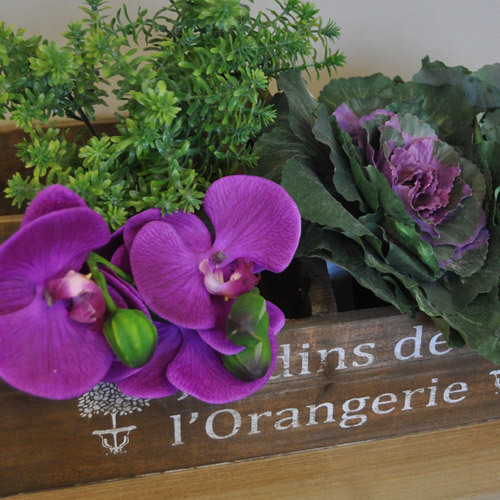 Pantone colour of the year 2018: Ultra-violet – combined with delicate greenery.. our Phalaenopsis pick purple with Cabbage Spray Purple Green and Anacharis Bush Green. 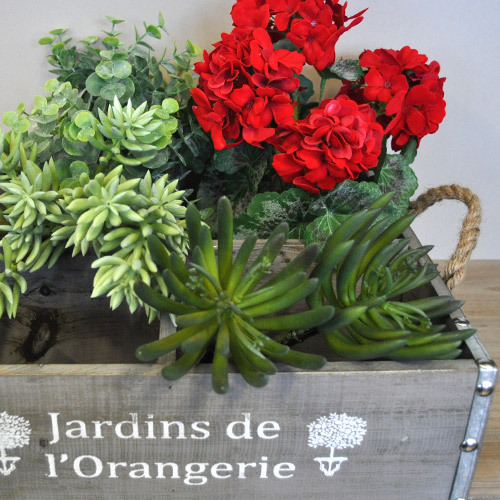 For a botanical-inspired setting, group an assortment of succulent picks and eucalyptus bushes with red Geraniums. 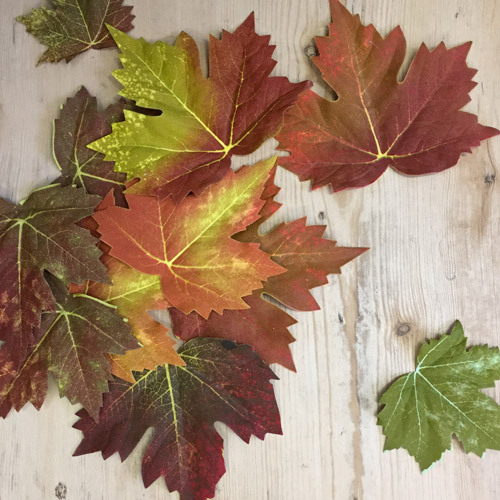 Autumn leaves are the most beautiful… scatter maple leaves to create a rustic autumn scene. 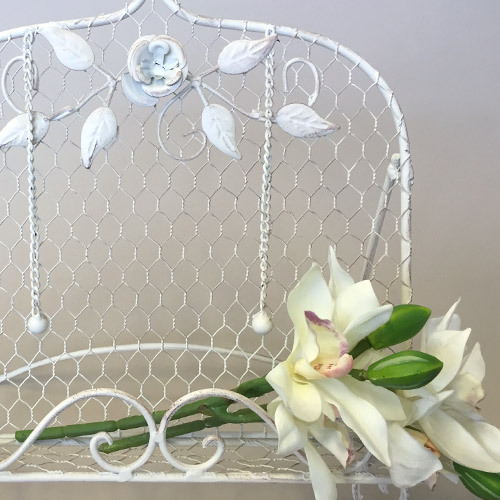 Add a to touch of whimsical to your kitchen with this vintage-look recipe holder and cream cymbidium pick.